At Mocha Chic Couture we’ve been recognized as one of #Africa’s up and coming design houses and as such been granted an amazing opportunity to showcase our range of clothing at an exclusive event which we hope will include you, the reader. Fashion Without Borders is an event dedicated to showcasing up and coming talent through out Africa and we are incredibly excited and honored to be part of the show this year. Without wasting time let me tell you that tickets to the main even are limited and you need to move fast to secure yours. It’s only a week away. Below is a list of other extremely talented African designers who have will be participating along side us. Date: October 6th, 2018 – a week from now. Tickets are limited so please book your spot early. 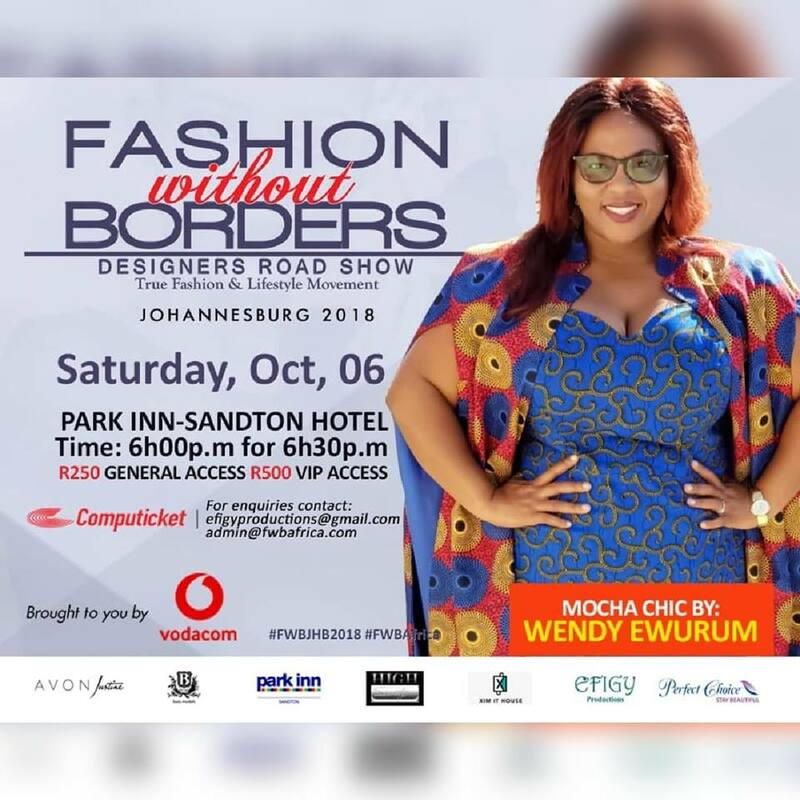 Follow Fashion Without Borders: https://www.facebook.com/FWBAFRICA/ on Facebook to be kept abreast with all events leading up to the show this coming Saturday. There is also an opportunity to win tickets so I do recommend checking out this page. The designer’s stalls will be at the same venue as the main show but starting as of next Thursday the 4th until the 6th October. Find out more from The Fashion Without Borders #facebook page.